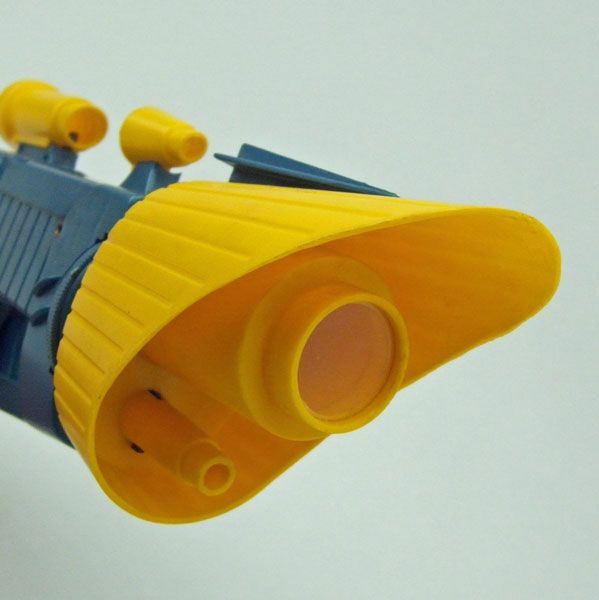 Remco released this colorful sidearm way back in the late 1960's. I don't own a boxed version, so you'll just have to make due with that catalog shot up there. 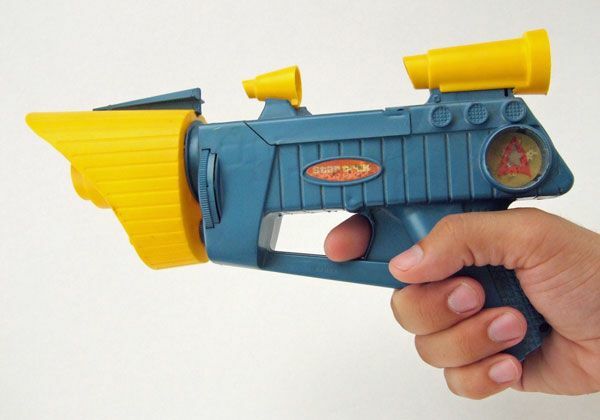 Let's start with that name: Astro Buzz Ray Gun. 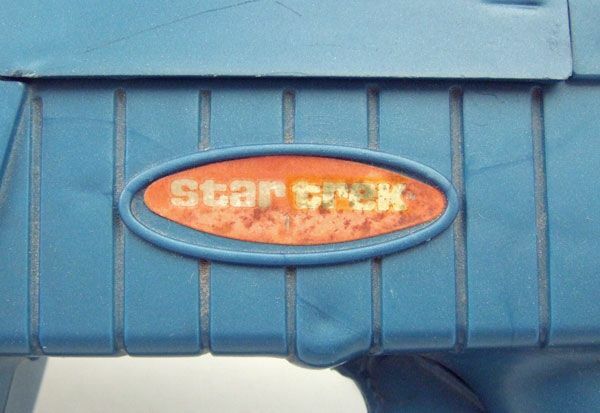 It wasn't enough to call it a Star Trek Gun, nor was it enough to call it just a Ray Gun. Remco felt the need to throw a "Buzz" in there, and then like a kid who puts too many toppings on his ice cream, they just went nuts and put "Astro" on top of that. Boy is that name a mouthful. 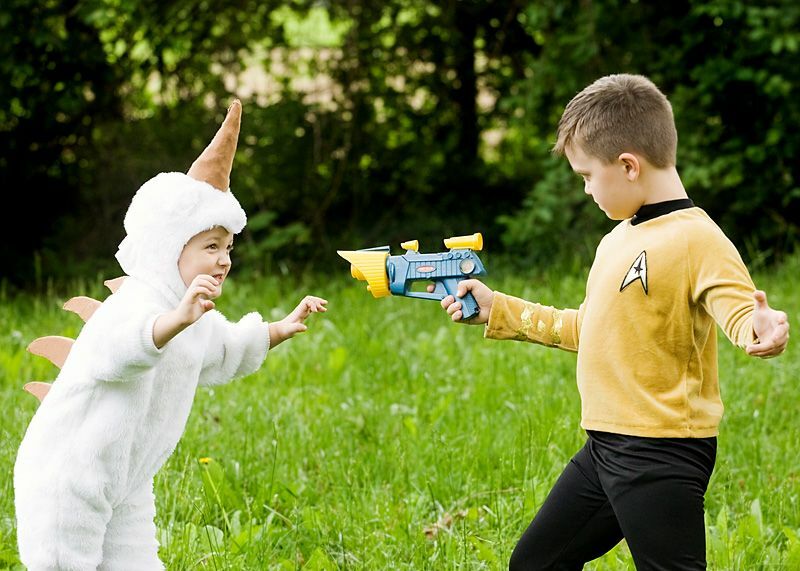 By the time you'd yelled out "Stop Klingon, or I will fire my Star Trek Astro Buzz Ray Gun at you! ", it would be way too late. So why does it look so crazy? 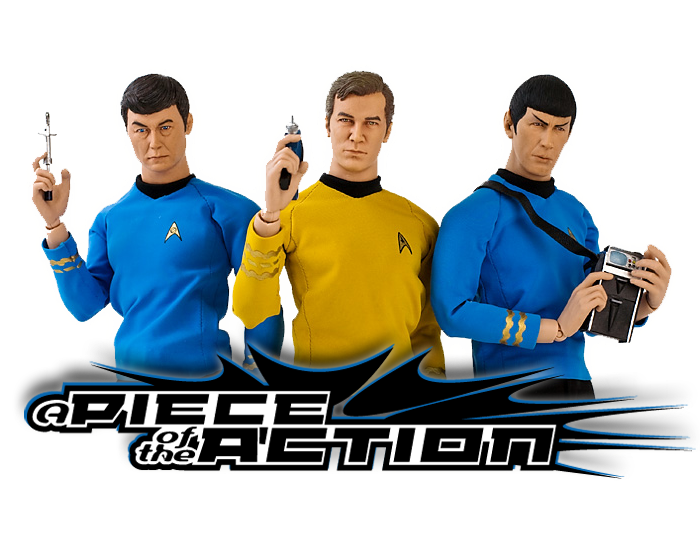 Well, as I explained in my second article for StarTrek.com, most of the late 60's Remco Trek product began life as toys from the Hamilton's Invaders line. Hamilton's Invaders was your standard fare for the time- Military guys fight giant insects. 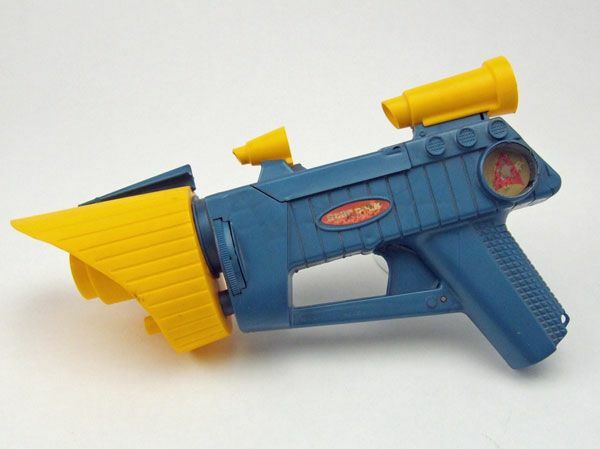 The Buzz Ray gun was first released as a role play item for the Hamilton line, but was later recolored and tweaked a bit for use in some of Remco's various licensed toy lines... like Star Trek. 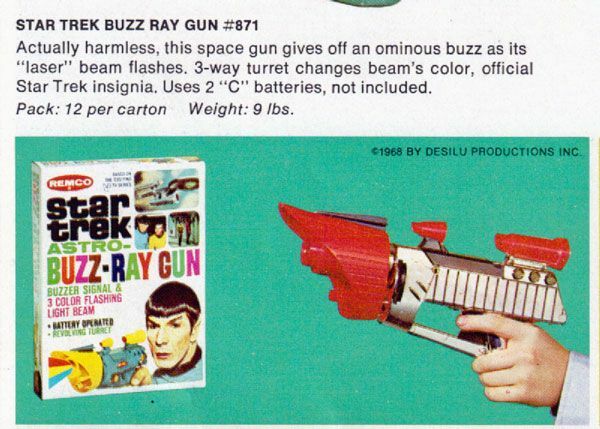 I love that the catalog description writer felt the need to include "Actually harmless," as if a store owner might be afraid that he would buy a real ray gun. And I'm sure that the buzz was indeed "ominous" to the parents, portending a nerve-jangling end to their peaceful Saturday mornings. I bet many kids would have preferred the "Actually Harmful" version instead! 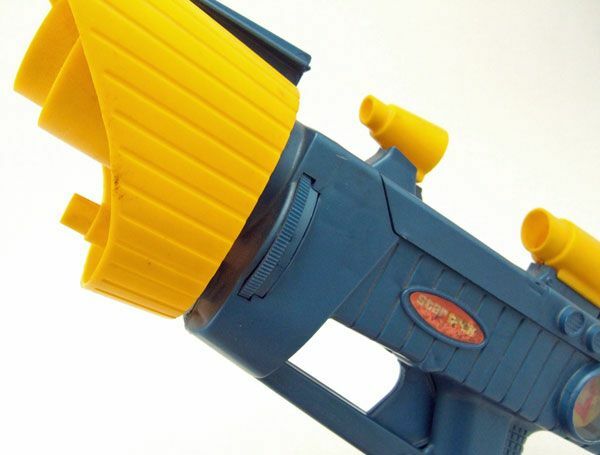 I still like it better than the tracer gun. This one at least looks science-fictiony.